BALTIMORE – eOriginal, Inc., the digital transaction experts, today announced that Financeit has adopted end-to-end digital transaction management (DTM) for its consumer financing services throughout the United States and Canada. By adopting the eOriginal SmartSign® software in conjunction with its eAsset® Management Platform, Financeit now has a comprehensive, highly secure electronic signature solution that is easy to use, while ensuring confidentiality, security, and authentication for all of their valuable digital financial assets. “Financeit has invested in an innovative technology that will not only enhance and expedite its digital business processes, but meets the growing consumer demand for digital transactions at all stages of the lending process,” said eOriginal President and CEO Stephen Bisbee. The eOriginal SmartSign Solution serves as a launching point for the fully digital transaction management of Financeit’s financial assets. From a consumer perspective, the eOriginal SmartSign Solution provides Financeit’s consumers with increased customer service and convenience: eliminating costly paper printing, overnight shipping, faxing, and mailing of loan applications. eOriginal SmartSign is optimized through a unique user interface specifically designed for smart phones and other mobile devices to facilitate a seamless user experience. “Having eOriginal included as part of the Financeit experience offers our Partners – small to medium sized businesses – a safe, efficient, and paperless process for offering affordable monthly payments to their customers,” said Michael Garrity, CEO and Co-Founder, Financeit. “Utilizing eOriginal’s eSignature technology has become an important step in our loan application process for its speed and convenience – and, as the most trusted eSignature service available, is a big selling point for customers in need of a loan. eOriginal’s eAsset Management Platform enables businesses to go beyond simple electronic signature functionality to manage the entire lifecycle of a digital transaction in a fully electronic environment. Once a loan application is signed, the financial asset is stored in the eOriginal eVault, which makes the eSigned document tamper resistant, providing the consumer receiving the loan and Financeit’s lenders with assurance that the document will be securely stored throughout its lifecycle. The eOriginal platform provides end users with the control to manage their eAsset documents while securely providing access to additional authorized participants such as lenders, document custodians, investors, auditors, and legal counsel. 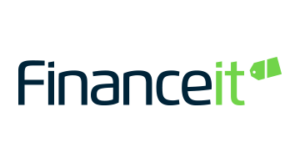 Financeit is a cloud-based platform that makes it easy for businesses to offer powerful financing options to their customers from any device. The company provides financing solutions that traditionally were only available to big box retailers through a safe and secure platform. The Financeit model is based on fairness, transparency, and ease-of-use, with no hidden fees or backdated interest charges, with interest rates lower than most credit cards. Since launching in 2011, Financeit has signed up over 3,800 retail, vehicle, home improvement and healthcare businesses who have processed more than $825 million in loans in Canada and the United States.